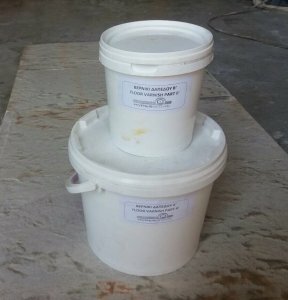 It is a very strong aliphatic polyurethane two component varnish. It is odorless and particularly useful for protecting floorboards and worktops due to its high friction resistance and chemical agents. It is transparent, matte and offers excellent waterproofing to the surfaces to be applied. It is also suitable for the protection of cementitious floors and floor coverings. Not recommended for surfaces with long standing water, water tanks and swimming pools.